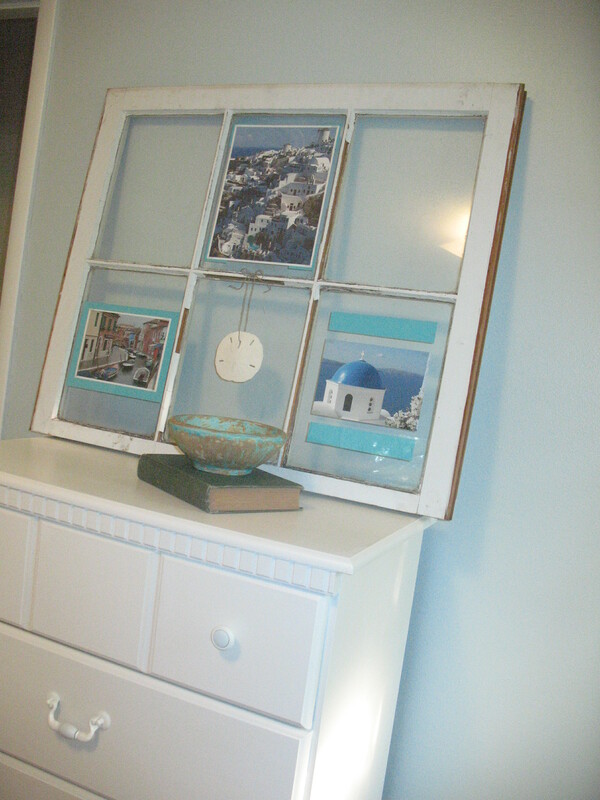 Decorating With An Old Window: Take Two! Remember how I said I had two of those old windows I found on the side of the street? The pictures I used were taken by my husband’s brother’s wife’s mom. Hows that for a line of people to follow! They were taken during her trip in Europe. Aren’t they beautiful?!? Have any idea where this window might be in our home??? You guessed it…in our newly re-done guest bedroom! 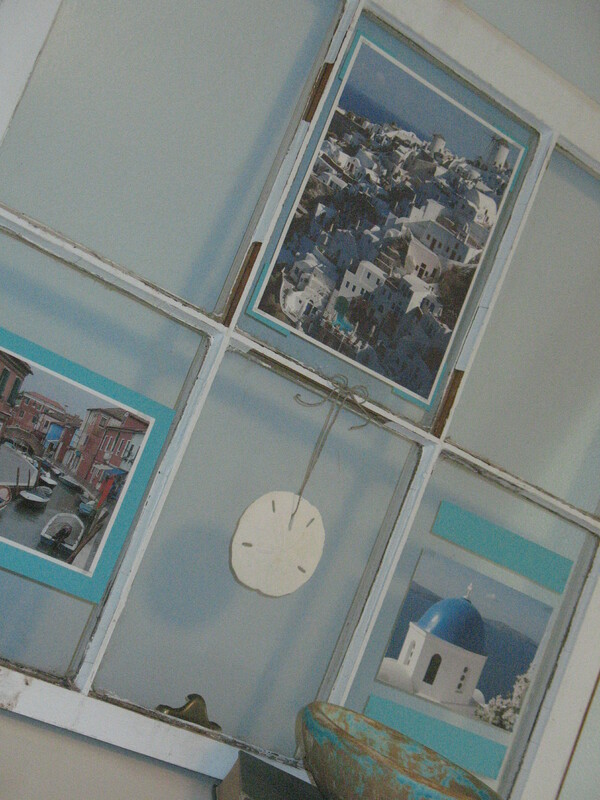 How did you attach the pics to the window glass? I used thin slivers of double sided tape in each of the corners. It is almost completely unnoticeable.